Irena Sailer received her dental education and Dr. med. dent. degree from the Faculty of Medicine, University of Tübingen, Germany in 1997/ 1998. In 2003 Dr. Sailer received an Assistant Professorship at the Clinic of Fixed and Removable Prosthodontics and Dental Material Sciences in Zurich. From 2010 on she was an Associate Professor at the same clinic. In 2007 Dr. Sailer was a Visiting Scholar at the Department of Biomaterials and Biomimetics, Dental College, New York University, USA. Additionally, since 2009 she holds an Adjunct Associate Professorship at the Department of Preventive and Restorative Sciences, Robert Schattner Center, School of Dental Medicine, University of Pennsylvania. Philadelphia, USA. Since September 2013 she is the Head of the Division of Fixed Prosthodontics and Biomaterials at the University of Geneva. Irena Sailer is a Specialist for Prosthodontics (Swiss Society for Reconstructive Dentistry), and holds a specialization degree for Dental Implantology (WBA) of the Swiss Society for Dentistry. 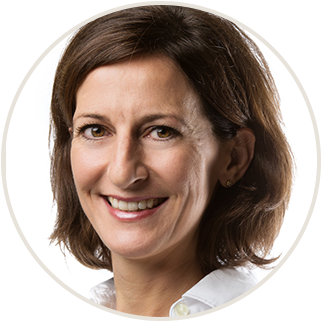 She is a Member of the Board of the Swiss Society of Reconstructive Dentistry and of the Swiss Leadership Team of the ITI (International Team for Implantology). Furthermore, Irena Sailer serves the Scientific Boards of the European Association of Osseointegration and the Swiss Society of Implantology. Irena Sailer is an Active Member of the European Academy of Esthetic Dentistry and an Active Fellow of the Greater New York Academy of Prosthodontics. how does new technology influence the interdisciplinary treatment of patients? The selection of the biomaterial is a very complex process today. The outcome of an implant-borne fixed restoration is not only influenced by the survival of the implant itself, but also by a good biological, functional and esthetic integration of the implant-borne restoration into the surrounding dentition. Digital impressions and computer-aided manufacturing (CAD/CAM) of restorations steadily gain in importance within restorative dentistry. One of the factors raising the attractiveness of computerized procedures is the high variety of new restorative materials which were introduced for the computerized manufacturing. This part of the lecture will critically evalulate the possibilities that the new materials and associated technologies offer, and will offer selection criteria for daily clinical practice within the interdisciplinary collaboration. part 2: CAD/CAM restorations on teeth and implants - just esthetic or also biological? Various prosthetic aspects can have a significant impact on the esthetic and the biologic result. A non-ideal choice of the type/ material of the abutment and reconstruction, can lead to problems of the final outcomes. Metal-based implant reconstructions can lead to a grayish discoloration of the peri-implant mucosa at patients with thin soft tissues. Application of ceramic abutments and all-ceramic reconstructions, otherwise, can lead to higher risk for fracture of the implant reconstruction due to the material properties of ceramics. Furthermore, both types of materials exhibit an influence on the biologic outcomes of the implant-borne restorations. The aim of the two presentation parts is to develop a decision tree for the selection of the ״most appropriate״ biomaterial for fixed implant restorations in the interdisciplinary collaboration.